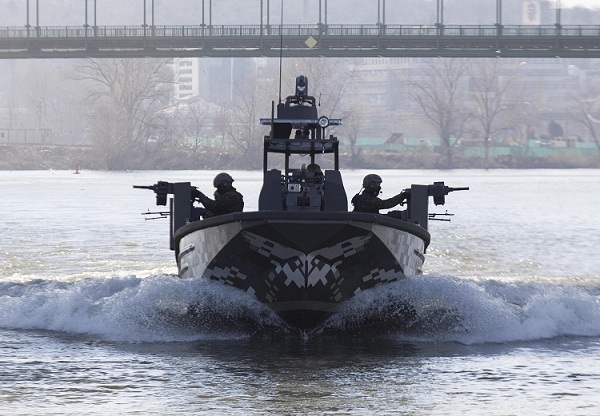 The Multirole Fast Combat Boat is a high-performance craft designed for a wide range of police and internal security activities, including anti-terrorist, anti-guerilla and anti-piracy tasks, and for a number of military operations such as special forces` landing missions, transport of divers etc. Depending on the weapon arrangement, the boat can carry a crew of 6 to 8 men, and transport 4 to 8 divers, i.e. a total of 12 men. The boat displacement varies, depending on the tactical assignment, from 7.5 to 10. 5 tons, and can develop a speed of 40 to 45 knots. The boat is made of marine grade aluminum. The hull with the stiffeners is a structure made of marine grade aluminum 5083, using TIG and MIG welding techniques. On roads, the craft is transported by boat trailers. Air lift/parachute drop is made possible by way of several lifting points arranged on the hull. 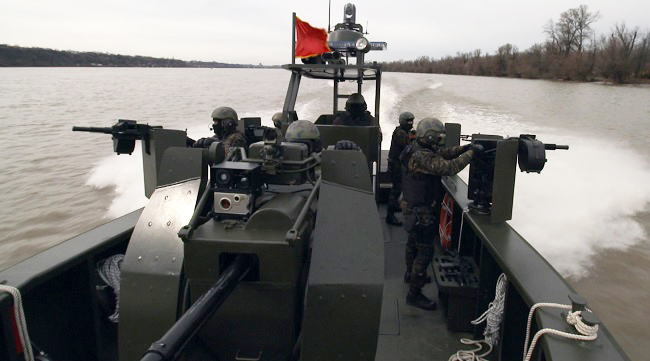 Some of the tasks and duties in which the boat can be used include transporting or carrying the troops behind the enemy lines, river patrolling, blocking ports and harbors. 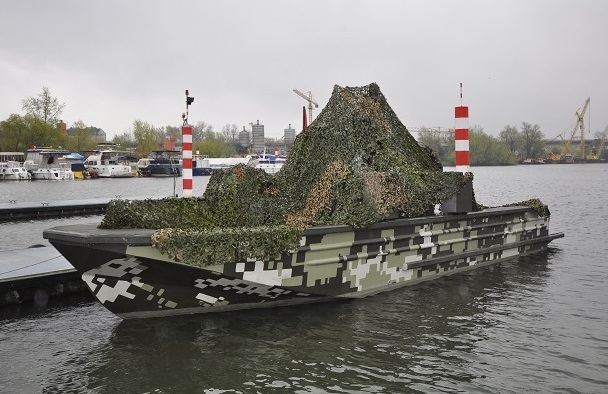 Being small in size, the boat can be easily hidden along the river bank in daylight conditions, using a camouflage net, while at night it can penetrate into the enemy territory to assault their facilities and vessels. With a well-trained crew, it can be deadly and invisible to the radar and the enemy`s eyes. 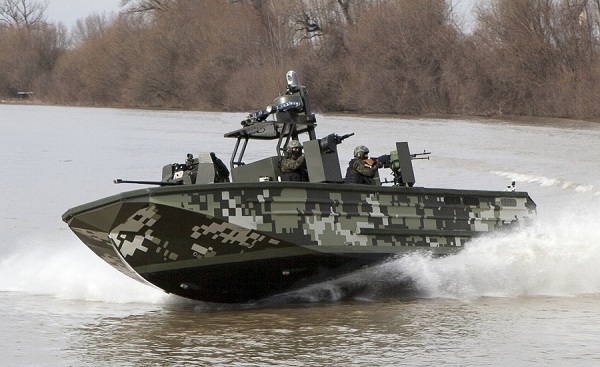 The boat`s hull is an all-aluminum structure, with a deep V bottom and special-design bow region that produces a water spray screen to hide the boat and weapon operators. The regions exposed to high stress in landing missions are reinforced. The boat is equipped with bilge pumps that will ensure floating even in cases of severe hull damage. 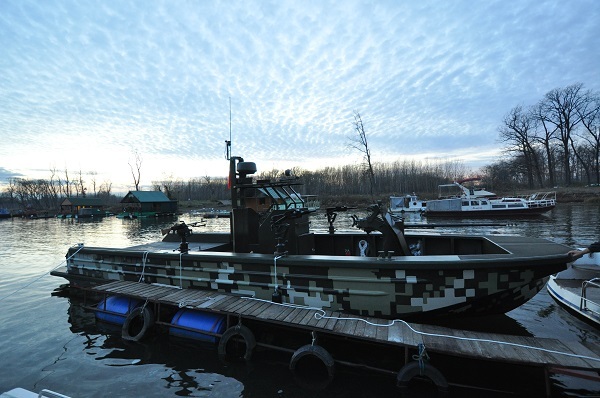 The boat`s double bottom has several compartments for accommodation of ammunition, tools and other supplies. The hull is designed with large hatches for easy access to the engine and jet units. The hatches are sound- and heat-proof. 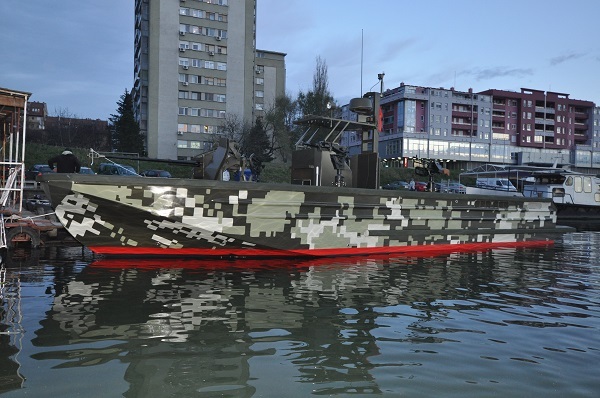 The stern is designed with a platform used as cover for the jet units and for easy water intake and discharge. The platform deck is perforated to allow water to run off. The cockpit aft accommodates two bilge wells. Railings are fitted along the cockpit interior sides. All decks are coated with anti-slip finishes. The control desk is placed in the middle of the boat. It is built so as to protect the boat operator. 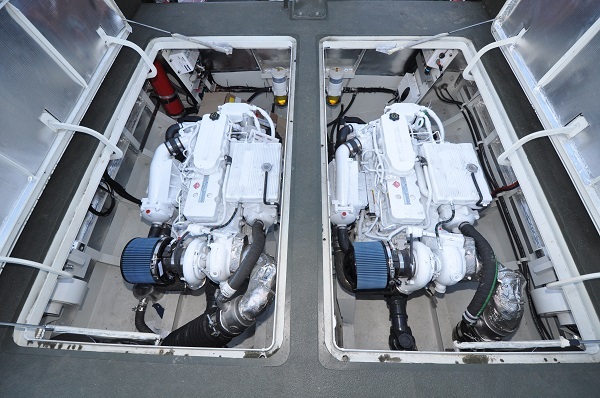 The boat is equipped with two electronically-operated 440-480 HP diesel engines and two jet propulsion units. They are executed as wet exhaust engines for low noise and thermal footprint. The craft is fitted with one fuel tank placed in the double bottom below the cockpit. The tank has electronic level indicators with level gauges on the control desk. It is made of aluminum with large inspection hatches on the top. Filler necks are on the boat sides and are designed with a splash prevention system. The air breather line is equipped with no-smell filters. The fast closing valve is remotely operated from the helm position. Each engine has its own easily accessible fuel filter/water separator. A visual (no sound) warning indicator is located on the control desk. The engine is cooled with fresh water taken in from four intake strainers, two for each engine. Each strainer has its own manually operated ball valve. They are connected to a flushing system used to rinse off mud or mechanical dirt if they become clogged. Before coming into the engines, fresh water is filtrated. The filters are easily accessible for cleaning and inspection. The mixture of exhaust gases and cooling water is discharged at the transom, below the platform. The muffler is fitted to suppress the noise of exhaust gases to the extent that does not disturb engine operation. The craft is equipped with a navigation system consisting of the radar, the sonar and the GPS coupled with a multi-functional monitor for the display of the radar data, digital maps and depth data obtained from the depth-meter, and the digital navigation data. 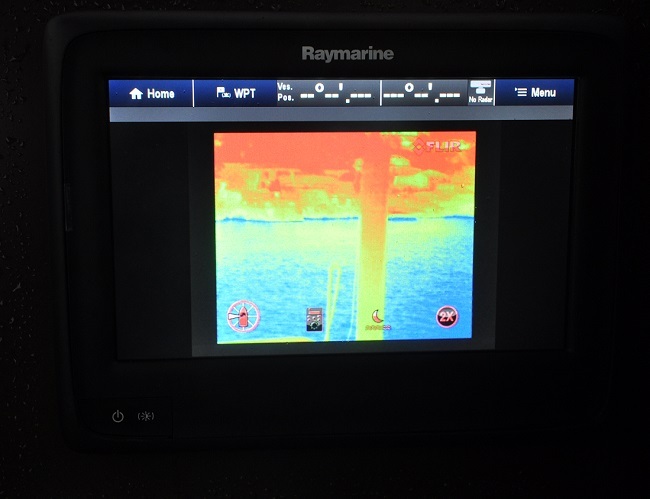 In addition, the boat is equipped with a panoramic observation system with a thermal imager and an independent display that enables 360 degree observation, with the capability of human detection at more than 1,000 meters. 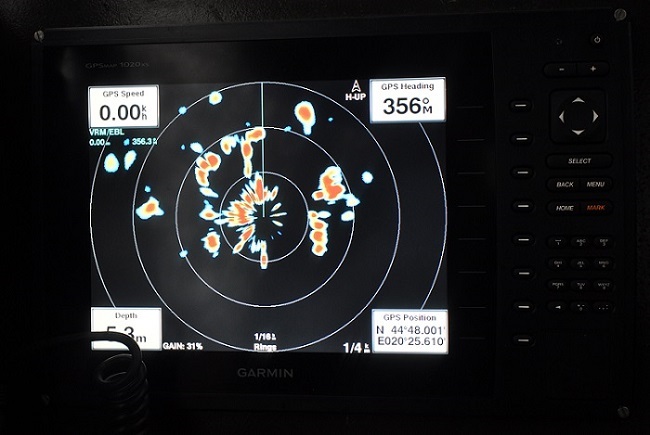 The boat commander issues orders to the helmsman, the crew and the weapon operators via an internal radio communication system, while communication with other forces is via a separate radio. 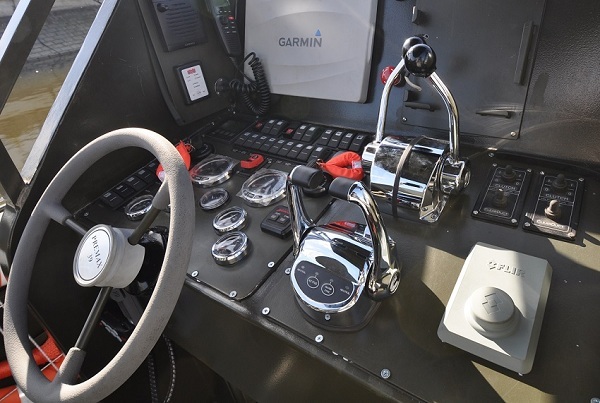 Apart from these tactical radio units, the boat is fitted with standard inland waterways radio communication equipment. 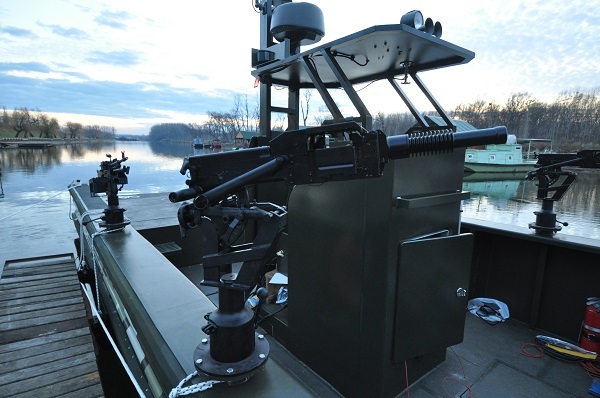 The automatic cannon uses a modern fire control system consisting of a thermal imager, laser range finder, day camera, and a ballistic computer coupled with a display, to accurately engage targets at up to 2,000 m, both in daylight and night conditions. This cannon application makes the boat a stronger vessel than the light patrol boat class it belongs to. 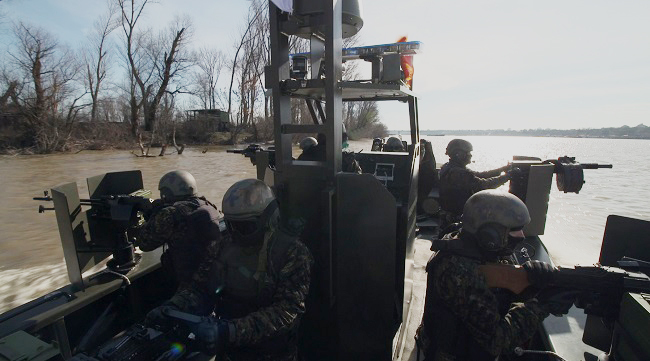 The boat has 5 weapon stations that can be used for mounting various caliber light machine guns, grenade or smoke pot launchers. Ammo capacity depends on the mounted weapon type and caliber. Add-on bullet-proof panels can be mounted on the inner sides of the hull for extra boat protection. Engine room sides will be clear of any equipment to provide easy mounting of bullet-proof panels. M71/08 weapon is fitted with an automatic 20 mm M55 gun fed with ammunition from easily replaceable drums with the capacity of 60 rounds. This is a modern weapon with a unique design that can be effectively used against targets at long ranges, in different terrain and climate conditions, with a significant lethal radius. 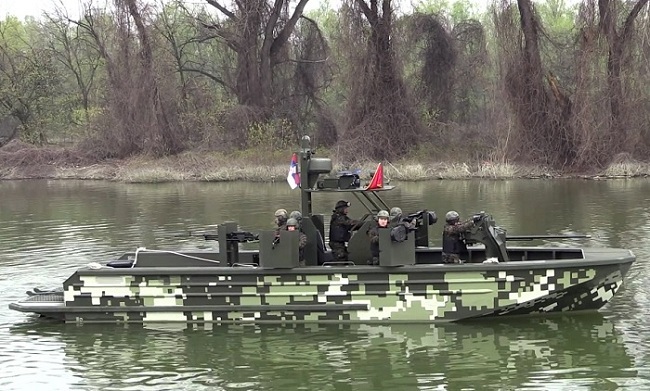 The weapon is primarily used against sheltered and unsheltered targets at up to 1,700 m and against lightly armored vehicles at up to 1,000 m.
Light machine gun 7.62 x 54R mm M84 is the Serbian equivalent of the famous Russian PKMS weapon. It is designed as a highly reliable weapon, especially in terms of the barrel material and technology. The weapon has more than 20,000 rounds barrel life, it is capable of firing 250 - 500 rounds in a single burst, and of operating in harsh environment conditions (snow, sand, mud) without maintenance. 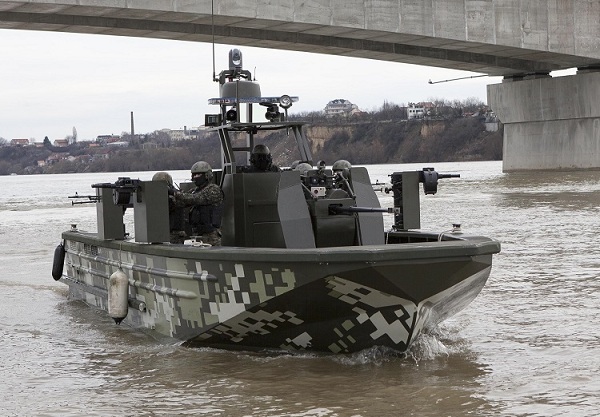 The M09 naval mount consists of a cradle-mounted manually-operated 12.7 x 108 mm HMG and a fire control system, mounted on the boat deck rotating upper carriage with a seat for the operator. 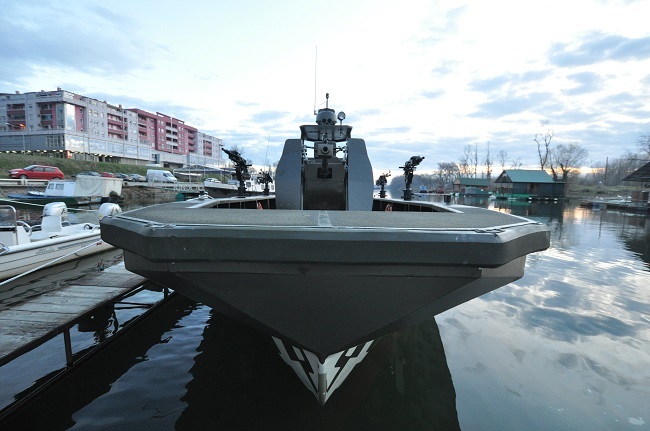 The weapon is designed to be used on light patrol boats and larger-size vessels, enabling effective, accurate and rapid engagement of various surface and air threats, including fast-moving boats, UAVs, helicopters, etc. at ranges of up to 2,000 m.